By Barry Cook. Part 2 of a 6 part series. Read Part 1 titled Personality-Based Winning first. 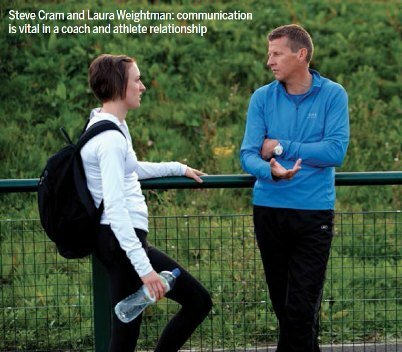 The value of trust between coach and athlete cannot be underestimated. Can excellence in performance be achieved by both coach and athlete without trust? Many factors in a relationship decide the amount of trust that develops and the quality of the communication can be one vital element that increases that trust. Previous articles on how psychometrics and understanding behaviour preferences may be helpful in coaching and coach-athlete communication. I introduced the type-dynamics indicator from the type-mapping system and how its use can help coaches to become more self-aware of their own behaviour and the impact it may have on their athletes and how by observation of their athletes they can gain an insight into the behaviours of the athlete. This can be helpful in deciding when and how you communicate information to the athlete. 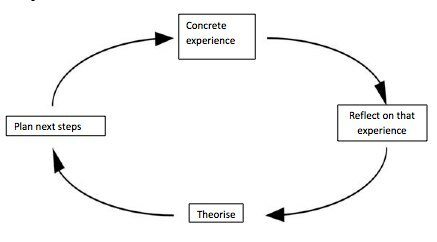 In the 1970’s David Kolb investigated the way in which humans learn and developed the model known as Kolb’s learning cycle. You have a concrete experience. You reflect on that experience (why did that happen?). You seek to understand the reason for it (the theory). You consider how that fits into what you are trying to achieve and ask if you need to change anything following that experience (next steps). Consider for instance how you learned to ride a bicycle and you can see how this fits the process you went through to gradually develop the expertise. There may be another learning experience that you have had that illustrates the process. Kolb originally stated that individuals have to go through all the stages of the learning cycle in order to learn. Peter Honey and Allan Mumford then developed the learning styles tool which could indicate if you had a preference in the way that you learned and attached a set of named behaviours to each part of the cycle. If you learned by reviewing (reflecting) on the experience you were a “reflector”. 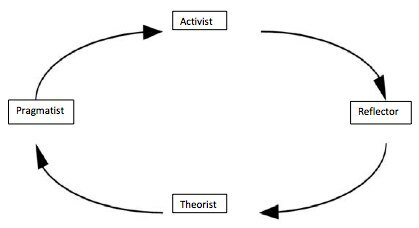 If you liked the theories underpinning actions you were a “theorist”. The preferences that your athlete may have can be extremely useful to you as a coach in deciding your communication method. If the athlete has a strong preference toward being an activist they will probably like just doing the sessions and not be weighed down by any of the technicalities. If the athlete has a strong preference towards being a reflector then they will need time before you try to debrief with them a training session or a race as they need time to reflect. If the athlete has a strong preference toward being a theorist they will like to understand why they are doing that session, what are they developing physiologically that will help them improve and what are the theories underlying their efforts? If the athlete has a strong preference toward being a pragmatist they will like to understand how a session will help them develop as an athlete and how it may help them in a race. 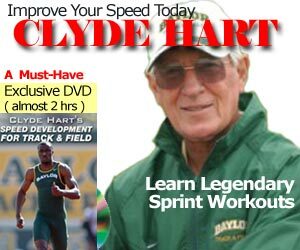 READ 4x200 meters - 3 turn Stagger or 1 turn Stagger? This theory has been misinterpreted by many educationalists to state that people have a particular preference in the way that they learn (their learning style), which is incorrect. However, it may indicate the preferred point at which you enter the cycle. You then have to go through the other stages in order to complete the learning cycle. Try analysing if you as a coach have a preference and whether that influence has an effect on how you communicate with your athletes. If you do have a preference, ask yourself what is the preference of your athlete and if you need to change your behaviour in order to ensure your athlete gets maximum benefit from any communication you have with them. Barry Cook is a qualified endurance event group coach, British Athletics coach educator and an accredited practitioner in TDI and FIRO. In March 2014 Barry has been working with the elite coaches of the England Squash and Racketball Association developing their coaching skills.